This recipe was inspired by trying to create foods that are a little more healthier. And what’s better than banana nut bread. 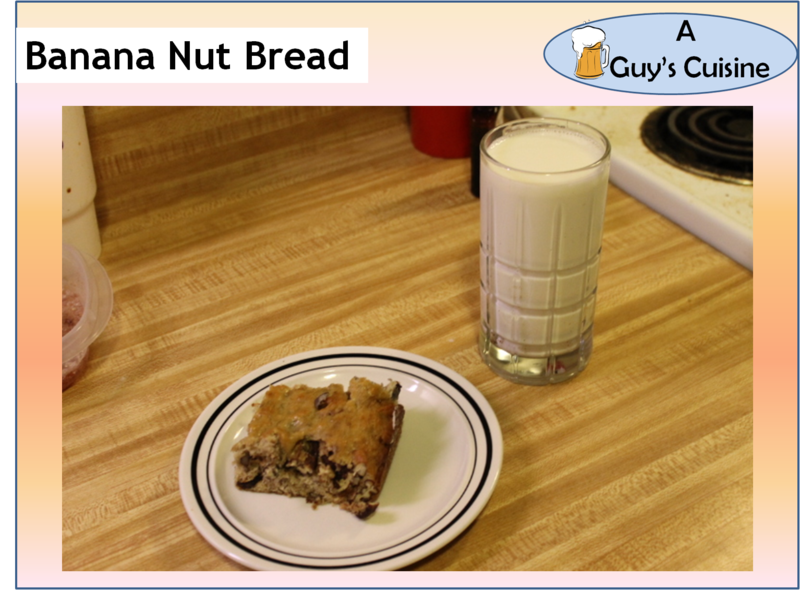 Using real bananas and walnuts in the recipe makes this bread better for you. It’s better than having cookies or cake. Here is what you need. 1. 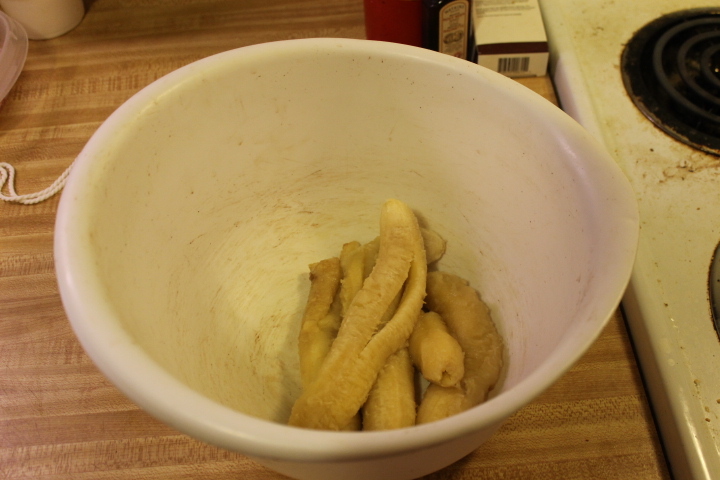 Smash the ripe bananas. Preheat oven to 350 degrees. 2. Beat the egg and add into smashed bananas. 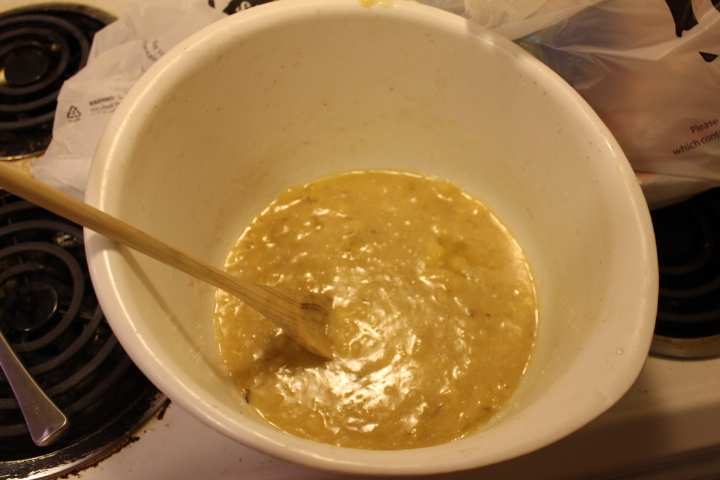 Also add the melted butter, sugar, vanilla, baking soda, and pinch of salt. 3. 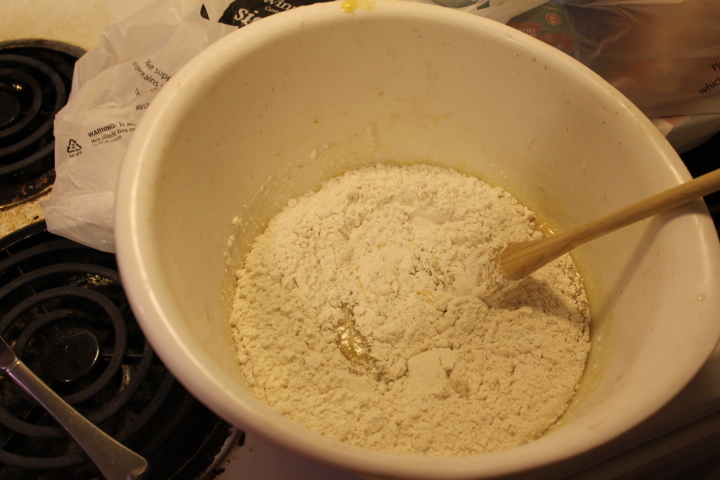 Add in 1 1/2 cups of flour to mixture. 4. 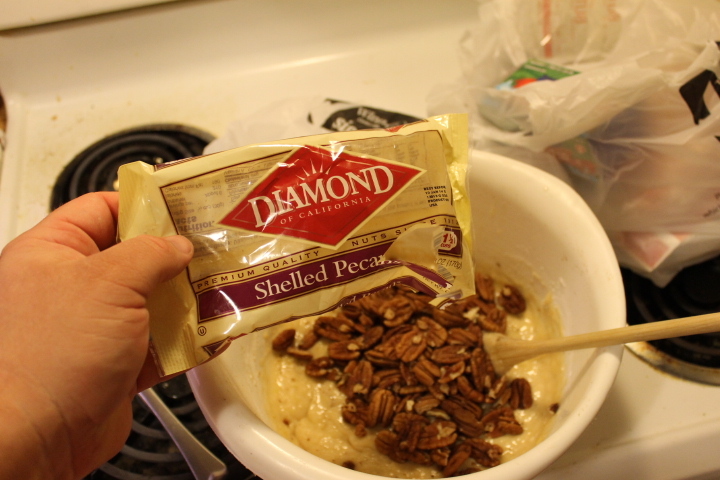 Add in the walnuts or pecans if you prefer. 5. Mix everything well. 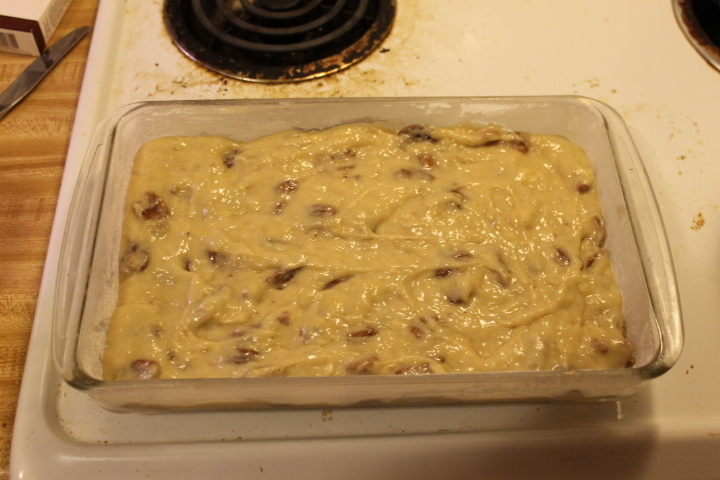 Then pour mixture into bread pan or a glass pan as I did. Make sure pan is greased. 6. Bake in glass pan for 30-35 minutes. In bread pan it can take up to one hour. Insert toothpick to make sure it comes out clean. What could be better. 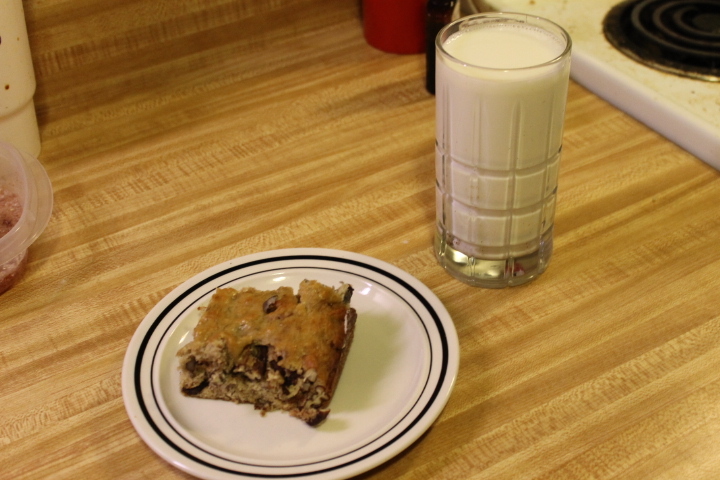 A piece of banana nut bread with some milk! Enjoy!